John Deere’s Weird Idea of ‘Ownership’ | Land & Livestock International, Inc.
Posted on April 30, 2015	by Land & Livestock Interntional, Inc.
Property rights are the cornerstone of a free society. They were already under attack long before John Deere started computerizing farm tractors. Usually the attackers are from some level of government, but large corporations are joining the fun…Yet the corporate attacks typically use politically created weapons. It’s official: John Deere and General Motors want to eviscerate the notion of ownership. Sure, we pay for their vehicles. But we don’t own them. Not according to their corporate lawyers, anyway. Property rights are the cornerstone of a free society. They were already under attack long before John Deere started computerizing farm tractors. Usually the attackers are from some level of government, but large corporations are joining the fun. Yet the corporate attacks typically use politically created weapons. John Deere relies on the 1998 Digital Millennium Copyright Act to claim that the farmers who “buy” its tractors possess only the physical machinery, not the software that makes it run. Not coincidentally, normal maintenance is almost impossible without access to this software. This effectively forces farmers to keep paying John Deere for the tractor long after they supposedly gained ownership of it. Some farmers try to avoid this extortion by hacking their own tractors. John Deere claims this is illegal under the DMCA law and is asking the Copyright Office to stop it. General Motors is particularly passionate about its “intellectual property” claims. Wired writer Kyle Wiens dismisses their arguments. GM went so far as to argue locking people out helps innovation. That’s like saying locking up books will inspire kids to be innovative writers, because they won’t be tempted to copy passages from a Hemingway novel. Meanwhile, outside of Bizarroland, actual technology experts—including the Electronic Frontier Foundation—have consistently labeled the DMCA an innovation killer. They insist that, rather than stopping content pirates, language in the DMCA has been used to stifle competition and expand corporate control over the life (and afterlife) of products. Bingo. If you want to promote innovation, you allow people with different ideas to try them. That’s how regular cars grew into souped-up dragsters. Owners tinkered, modified and created something new and different. GM and John Deere now seek to make this kind of innovation impossible. Their real goal is to eliminate competition, and they are using political power to do it. They may succeed, too – for now. This kind of behavior incentivizes innovative people to find different platforms. A few rebel farmers are right now asking themselves why they need John Deere or any other kind of tractor at all. Breakthroughs in LED lighting technology combined with renewable energy are making large-scale indoor farming more cost-effective for some crops. By using copyright laws to make its tractors more expensive and less useful, John Deere may be planting the seeds of its own destruction. Stopping a few hackers is easy. Stopping human innovation is impossible. Those who try it always get what they deserve. 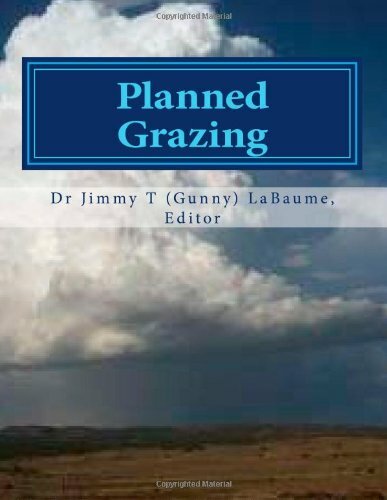 Planned Grazing: A Study Guide and Reference Manual. This is the ideal squeal to A Handbook for Ranch Managers. Although the ecological principles remain the same, what was originally known as “The Savory Grazing Method” now answers to a multitude of different names: ranching for profit, holistic management, managed grazing, mob grazing, management intensive grazing, etc. 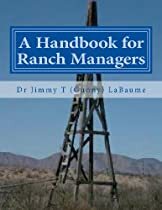 Land & Livestock International, Inc. uses “Restoration Grazing” under its “Managing the Ranch as a Business” program.” No mater what you call it, this summary and synopsis will guide you step by step through the process and teach you how to use it as it was originally intended. No more excuses for failing to complete your grazing plans. 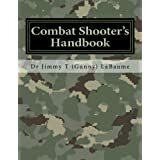 This entry was posted in Ranch Economics, Resources, Environment and Austrian Economics and tagged Austrian Economics, Environment, Ranch Economics, Resources. Bookmark the permalink.